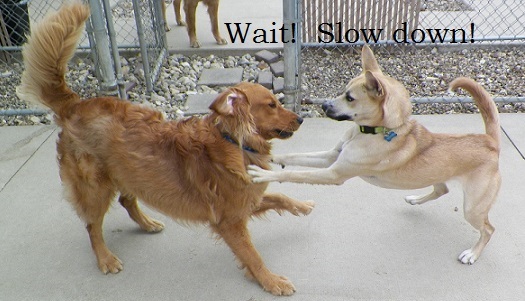 Most dogs and all puppies need help learning impulse control. What is it? It’s learning to control an urge to move forward to “explore” something rapidly. Some examples of dogs acting on impulses would be rushing out the door in front of you, jumping on people, lunging at dogs when meeting them, or eating food or treats too quickly or harshly. Using a calm, quiet voice, tell your dog over and over to Wait while trying to set down food bowl. Use your body to prevent dog from getting to bowl. Continue to say Wait. Stay calm and quiet. Slowly set bowl down and leave it there for a few seconds (still holding dog back) and then release with a clear “OK!” and let him eat! This exercise is just one example of teaching your dog impulse control. The more behaviors you “slow down” through teaching, the more your dog learns to control his own impulses and go a little slower. 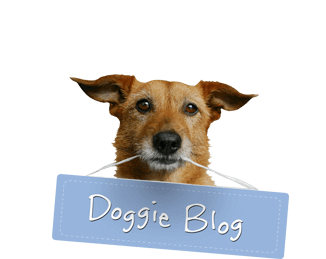 Do you need help coming up with an exercise for impulse control with your dog? Let us know! We love to brainstorm training ideas.